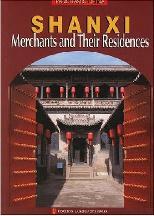 "Shanxi - Merchants & Their Residences"
A Full Google Earth Supported Map of Hunyuan Village by Google.com. The China Report introduced on Levels of its Online Publishing's in April of 2009, including Hunyuan Village near Datong. Adjacent Map gives direct access to the Hunyuan Map by Google Earth. Full Google Map of Datong, North Shanxi Province.